Here’s the statement that parents throughout the world should agree on, not only when it comes to athletics, but also any competitive activity. How to raise a successful athlete is best summed up in the words of this adage. Your child’s success or lack of success in sports does not indicate what kind of parent you are. 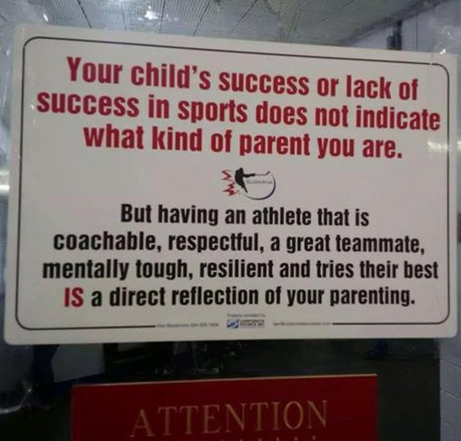 But having an athlete that is coachable, respectful, a great teammate, mentally tough, resilient and tries their best IS a direct reflection of your parenting. It’s the Serenity Prayer for the competitive parent!